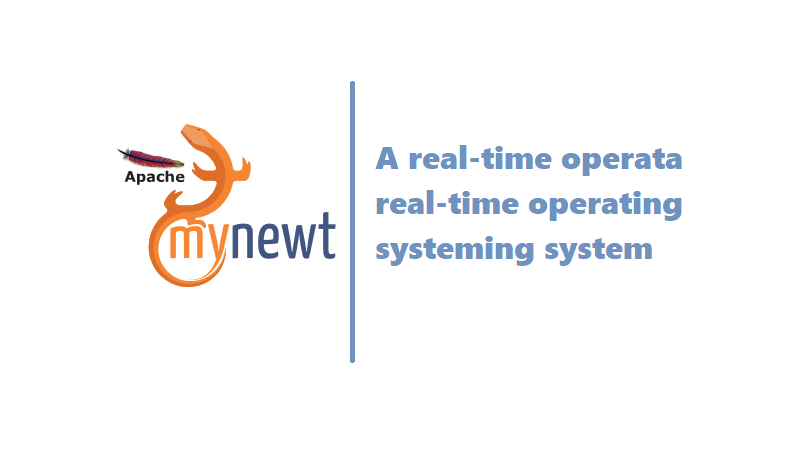 Apache Mynewt is a real-time operating system with a rich set of libraries intended to make prototyping, deploying, and managing 32-bit microcontroller based IoT devices easy that must operate for long times under power, memory, and storage constraints. It is highly composable, to allow building embedded system applications (e.g., locks, medical devices, industrial IoT) across different types of microcontrollers. The name Mynewt is wordplay on the English word minute, meaning very small: the kernel is only 6 KB in size. It is free and open-source software incubating under the Apache Software Foundation, with source code distributed under the Apache License 2.0, a permissive license that is conducive to commercial adoption of open-source software. The OS is designed for connectivity, and comes with a full implementation of the Bluetooth low energy 4.2 stack. With the addition of BLE (supporting all Bluetooth 4.2 compliant security features except privacy) and various utilities such as the default file system, console, shell, logs, stats, etc., the image size is approximately 96 KB for the Nordic nRF51822 Bluetooth SoC. This size metric excludes the boot loader image. Security from the start – Ensure security is built into the code as well as lifecycle management for your product. Operations ready – Ready your IoT network of billions for remote monitoring, troubleshooting, management, and upgrade. Cross-platform – Pick one MCU now. Migrate to another later.Easy to use – Compose, fine-tune, and build your image within hours or even minutes. Bluetooth Low Energy stack (BLE 5) – choose HOST only or CONTROLLER only or FULL stack.